“Opportunity for Unity: Our Home is Here” Initiative – UNITY, Inc. 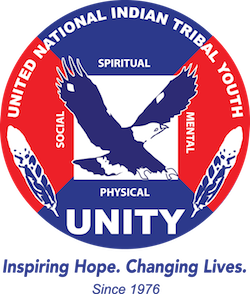 This focus of this initiative is to ensure more Native youth experience the magic of UNITY. Specifically, youth councils are being challenged to invite youth who are part of the Native American foster care system and may have never had the opportunity to attend a National UNITY conference. The topic of Native American foster youth hits close to home for many young people. Nationwide, American Indian and Alaska Native children are placed into foster care at a rate 2.7 times greater than their proportion in the general population, according to the National Indian Child Welfare Association (NICWA). Members of the NUC’s Executive Committee pushed hard for the initiative after learning how their peers in the Foster Care System often are overlooked or are not given the opportunity to live in their community, and to be a part of everything that it has to offer them. “As members of the 2018-2019 Executive Committee, we recognized the need to advocate for this issue and we got to work quickly. We grew up within this organization and we want to introduce those in foster care systems to the atmosphere that UNITY provides,” said Joseph Davis, NUC Co-President. The NUC Executive Committee is now promoting its call to action by encouraging youth councils to consider inviting one or more foster youth to attend the National UNITY Conference as part of their groups.